– Is a Symbiostock Contributor able to publish his own images or can he only submit for review? 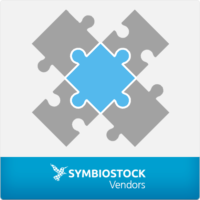 – It seems the Symbiostock Contributor cannot set his own name as related vendor and therefore his name is not published with the image, only the vendor manager can assign the name? Can this be done automatically or by the contributor himself? Thanks for the help and love the product! Hi mate, did you get an answer to this? I’d love to pick your brain and see how your going with this setup you mentioned, as I am looking at doing the exact same thing! Hi Jacob, unfortunately no feedback or answer on this… I’m still stuck with this setup. Perhaps someone can pickup again? Did you ever actually get support? I’m guessing you bought it too right have you contscted them direct or is there no facility to do so? Actually I did receive some really good support in the beginning when I bought the plugins. The support was from Robin (the owner I guess), they even made a custom plugin for me. That support was top notch! Afterwards, I didn’t want to bother him too much directly and thought trying out the support forum, but seems there is less activity here. Ahh ok. So your site is live but you can’t get the vendor plugin working?